Cable television’s heyday is over. Subscribers have been declining since 2004, and analysts say there’s no end in sight. Roughly 54.8 million households currently pay for cable TV, down 3.3% from 2012 and down 17.6% from a decade prior, according to research firm IHS. 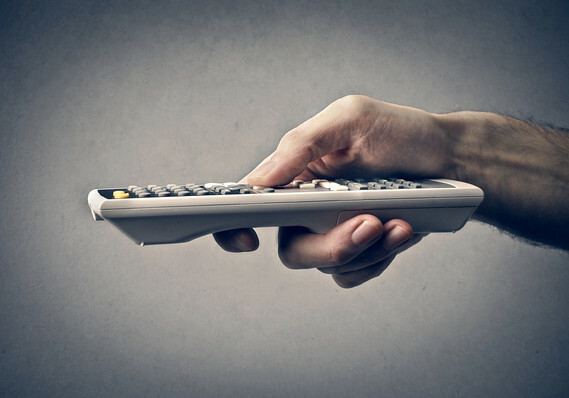 Cable companies are expected to shed roughly 1.3 million subscribers in 2014. The decline is due in part to so-called cord-cutters: consumers who are canceling cable and transitioning to lower-cost services, such as Hulu and Netflix NFLX -0.45% , which provide much of the same programming at a fraction of the price. Using an Internet connection, consumers can stream many cable shows, news programs and sports games, as well as movies, directly to their TVs. Some channels’ websites also provide viewers access to their shows. These services are mostly beneficial for people who do not mind watching shows after they’ve aired and are willing to part with most live programming. 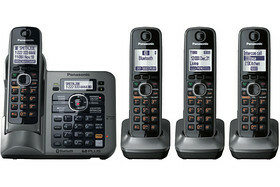 Fewer households are holding on to their landlines. Two in every five U.S. homes had wireless phones only during the first half of the year, up slightly from the first half of 2012, according to data released this month by the Centers for Disease Control and Prevention. The number has been rising over the past decade: Roughly 90 million adults, or 38% of the population, are now wireless-only, versus 21% during the first half of 2009 — and fewer than 3% during the first half of 2003. To be sure, these services require an Internet connection. Consumers who want the security of a landline — many Americans were without phone service after Hurricane Sandy disrupted cellphone and Internet service in some areas — may want to consider holding on to their home phone. The need for this service still exists, but consumers can get it for a lot cheaper. Rather than paying $70 to $300 for a new GPS device, drivers can use map apps to get around. They’re available on most smartphones or free to download. DVD sales and rentals are down, so it’s not a surprise that fewer consumers are buying DVD players. Sales of DVD and Blu-ray players totaled 21.3 million in 2012, down 20.1% from a year prior and down 24.8% from 2010, according to research firm SNL Kagan. There’s another, cheaper alternative: Travelers can reserve apartments or homes in their destinations at a lower price with more space to boot. Several services, such as Airbnb and Vacation Rentals by Owner, allow consumers to choose from an assortment of homes to stay in. Some owners also offer free airport pickups and drop-offs. It can also be more helpful and cost-effective for large groups that are traveling together (you can book a large home with many bedrooms) or families with young children who require privacy and can cook in the home rather than paying to eat out. The downside, however, is less security than what hotels offer. Consumers are encountering more setbacks than benefits with two-year cellphone contracts. There’s no way to change phones within this period of time without incurring a fee. And there’s the fine print many of these plans come with that result in consumers paying more than the starting monthly price they’re quoted in the store. Mobile users have several alternatives. They can opt for no-contract providers that sell the phones at full price (that’s more than the upfront price they’ll pay for a phone with a contract) but monthly payments are much lower (often half). They’re available through MetroPCS as well as big-box retailers like Best Buy and Wal-Mart. Most regular wireless providers also offer this option. There’s little reason to buy a desktop or laptop computer anymore. Tablets perform the same functions — playing music, sharing photos, Web surfing — that most consumers use PCs for and they’re made to use while on the go. They can also be a lot cheaper. For instance, Apple’s iMac’s start at $1,299 and MacBook laptops start at $999 while iPads start at $299. Of course, ditching desktop PCs isn’t for everyone: Graphic designers and traders, for instance, who require large screens will find it hard to part with traditional computers. But data shows that PCs are starting to fall out of favor: Worldwide shipments fell 4% in 2012 from a year prior — to the lowest level since 2009, according to the latest data from IDC, an information-technology research firm. Over the past few years it’s become common practice for airlines, including American Airlines and Delta Air Lines, to charge many passengers extra — up to an additional $180 — for roomier seats (read: extra three to six inches of legroom) in coach. These seats are often in the exit rows or first row in economy. But for a similar payment of $100 to $200, travelers can get upgraded to business class where the seats are much more comfortable and the service is of a higher caliber. These upgrades used to be reserved for airlines’ frequent fliers, but many now give them out to passengers who are willing to pay a bit more when they check in or at the gate. Card issuers have been ramping up some of their rewards programs in the past few years, but consumers should steer clear of one common promotion: credit cards with rewards programs that are comprised of points or miles. Many card issuers are devaluing their rewards programs by requiring cardholders to spend more in order to get the same “free award” they could have gotten previously with fewer points. What’s more, many of these cards come with annual fees, ranging from $30 to $75. Instead, consider a credit card with a “cash-back” program — a rewards program that’s a lot more straightforward: consumers get 1% to 5% cash back per a certain number of dollars they swipe on their card. Their small size and sleek look made digital “point and shoot” cameras all the rage for years. Now, demand is sunsetting. Roughly 11.5 million are estimated to have sold this year in the U.S., down 44% from 2012, according to the Consumer Electronics Association, which represents consumer technology companies. Sales are expected to drop to just under 8 million next year. The cameras are suffering from an identity crisis. Consumers who want high-quality photos are opting for the larger, DSLR (digital single-lens reflex) cameras. Others prefer to stick with just one gadget — their smartphone — which takes pictures. And there’s new competition from cameras intended for the outdoor thrill-seeker, like the GoPro, for people who want photos capturing action (the camera attaches to your body while white water rafting or scuba diving, for instance) rather than stopping to pose for a pic. … nothing that was created more than 5 years ago… Everyday we have new and better things. Intel, el mayor fabricante mundial de chips, lanzó sus pronósticos para el año próximo y anticipó qué productos se convertirán en las estrellas del sector por su capacidad para dotar a las personas y organizaciones de mayor inteligencia, poder y utilidad. El 2011 está cada vez más cerca y cuando falta poco más de un mes para el año nuevo ya se comenzaron a difundir pronósticos para el próximo período.En este contexto, Intel, el mayor fabricante mundial de chips, lanzó sus predicciones sobre las tendencias tecnológicas a las cuáles habrá que observar el año próximo, por sus capacidades para dotar a las personas y a las organizaciones de mayor inteligencia, poder y utilidad. La TV inteligente ya es una experiencia que comenzó a formar parte de la realidad y se espera que un gran número de empresas de televisión, cable y otras compañías de electrónica de consumo se unan a Sony, Logitech, Boxee y Cisco para entrar en este mercado. A finales de 2011, estas compañías deberían ser capaces de medir la aceptación de este fenómeno por parte de los consumidores. En ese sentido, un caso para observar de cerca será el proyecto de Google, denominado “Google TV”, un intento de llevar a los livings de los hogares los televisores conectados a Internet y, de paso, entrar en el reparto del mercado publicitario de la pantalla chica, un pastel de u$s70.000 millones. ¿Cómo funcionará Google TV? Una caja de búsqueda aparecerá directamente en la pantalla, permitiendo elegir el programa o video deseado en los canales de televisión o en la red. Para hacerlo, se usarán unos dispositivos similares a un tablet. La plataforma permitirá ver videos de YouTube en el LCD, mirar una telenovela o programa mientras se siguen las actualizaciones de Twitter o generar subtítulos de modo instantáneo. Las computadoras portátiles continuarán con un fuerte crecimiento gracias a los próximos procesadores Intel Core 2011, que añaden nuevas características de alta definición (HD) y relacionadas con los gráficos, además de la transmisión inalámbrica de contenidos para su visualización en televisores. Con capacidades de clase empresarial mejoradas, como la Intel Anti-Theft Technology, el gasto de tecnologías de la información en servidores, desktops y laptops también debería aumentar. Un ejemplo de estos nuevos chips es el Intel Core i7-980X, un procesador de seis núcleos con 12Mb de caché, que corre a una velocidad de 3.33Ghz y está pensado para usuarios extremos, o para quienes requieran mucho poder de procesamiento en un formato pequeño. Las computadoras con formato de tableta, en una multitud de presentaciones y sistemas operativos, inundarán el mercado. Incluso, habrá productos híbridos entre éstas y una laptop, como un prototipo de Dell, o la nueva MacBook Air de 11 pulgadas. * Toshiba tiene su Folio 100, con una pantalla similar. * Con un display más pequeño y un tamaño prácticamente de la mitad, Samsung lanzó su Galaxy Tab. Ambos equipos están basados en Android 2.2 y pueden presumir de especificaciones. Una de las normas tecnológicas más famosas es la Ley de Moore, según la cual el número de transistores de una computadora se dobla cada dos años, aproximadamente. Su creador, Gordon Moore, de Intel, hizo esta afirmación en 1965 y, desde entonces, se viene cumpliendo. Las innovaciones y las nuevas técnicas de fabricación siguen desafiando a los escépticos que afirman que dicha regla está muerta. Esto significa que, en los próximos años, a medida que miles de millones de nuevos dispositivos adquieren capacidades de cómputo y conectividad a Internet, tendrán un desempeño significativamente mayor, con más características embebidas en el silicio, mientras que también se reducirá drásticamente el consumo de energía y se extenderá la duración de la batería. A medida que los requisitos tecnológicos cambian rápidamente debido a un panorama de amenazas cada vez más complejo y a nuevos modelos de uso, incluyendo nubes y muchos dispositivos de electrónica de consumo (CE) que se conectan a Internet, la seguridad seguirá siendo una de las máximas prioridades de la industria informática. Durante el próximo año, la industria se centrará en las capacidades fundamentales para la protección de las infraestructuras y el mantenimiento de los secretos, tanto personales como de negocios. Los procesadores Intel Core vPro, la adquisición de McAfee por parte de esta compañía y muchos proyectos dentro de y en torno a los chips de silicio tendrán un papel muy importante al respecto. De acuerdo a los pronósticos de Intel, los consumidores se “enamorarán” de la primera ola de computadoras conscientes del contexto o perceptuales, que apalancarán las tecnologías sensoriales, tanto en el hardware como en el software. Por ejemplo, un dispositivo móvil llamado Personal Vacation Assistant utiliza tecnologías de cómputo que reconocen el contexto para sacar el máximo provecho de la experiencia de viaje. El equipo portátil posee “sensores hard” (cámaras que registran los objetos e información basada en GPS) y “sensores soft” (datos que los viajeros introducen en él, tal como preferencias de cocina y de agenda) para realizar recomendaciones, por ejemplo, de qué paisajes ver o en qué lugares comer. El 2011 marcará el punto en el que se desdibujarán las fronteras entre los dispositivos de consumo y aquellos empresariales. Este fenómeno ya comenzó a verse con la entrada de los iPhones y los teléfonos Droid en las empresas. Los trabajadores querrán utilizar sus soluciones personales para la productividad laboral y los empleadores querrán mejorar el ambiente corporativo con los dispositivos. La virtualización, la tecnología antirrobo, la administración remota y la seguridad traerán importantes aportes relacionados con esta tendencia. Los letreros interactivos, como los de la película “Minority Report”, estarán ampliamente aceptados, incluyendo nuevos modos de interacción, como el reconocimiento de rostros y de gestos. Por ejemplo, Intel tiene en la National Retail Federation Convention (NRF), en Nueva York, un nuevo prototipo de letrero digital inteligente, de casi 230 cm. de ancho, multiusuario y sensible a varios toques simultáneos. Este dispositivo podría cambiar la forma en que las personas interactúan con esta tecnología en ambientes tales como tiendas, aeropuertos, bancos y hoteles. En esos puntos de venta los clientes pueden usar una pantalla holográfica sensible a varios toques en simultáneo para saber más sobre las mercancías ofrecidas, descubrir promociones, enviar su feedback sobre los productos, leer reseñas de otros clientes, ver su historial de compras pasadas y compartir lo que descubrieron con otros amigos a través de los medios sociales y de la integración con el celular. Con tecnologías sofisticadas actuando como sistemas nerviosos centrales en los vehículos actuales, los nuevos desarrollos para automóviles están atrayendo un interés enorme, ya sean características de entretenimiento, de control por voz con manos libres de los teléfonos inteligentes, de seguridad o de funciones del conductor realizadas automáticamente por el rodado. Internet en el coche es una de las tendencias más interesantes, quizás por esa disociación que se produce entre los públicos amantes del motor y los interesados por la electrónica de consumo. Según Intel, el hecho de que las novedades en la industria automotriz se producen de forma mucho más gradual puede haber camuflado los fenomenales cambios que va a generar la conexión a la red en los vehículos. A largo plazo se impondrán las fórmulas pensadas en torno a “automóviles con su propia tarjeta integrada”, que permitan compartir la señal Wi-Fi con todos los dispositivos que utilicen otros pasajeros. A corto y mediano plazo se verán fórmulas basadas en tomar la conexión del teléfono móvil mediante Bluetooth. La nube empresarial despegará a medida que más servicios basados en ella se rediseñan para su uso comercial, incluyendo las redes sociales. Con la mayoría de las grandes corporaciones preparando la virtualización de sus respectivos entornos en 2010, el próximo año también verá el desarrollo de soluciones internas para la nube. Además, será posible realizar operaciones de renderización en ella y distribuirlas a través de redes de banda ancha a dispositivos con poder gráfico modesto. ¿Cuáles son los beneficios del “cloud computing”? Entre otras cosas, las empresas pueden utilizarlo para el abastecimiento de nuevos servicios en un plazo de apenas una semana o en ciertos casos, en menos de 24 horas. Además, reduce significativamente los costos y posibilita la innovación empresarial con mayor facilidad y menores riesgos. The U.S. Interior Department approved yesterday a permit for the world’s biggest solar power project that will provide electricity to up to 750,000 homes. The 1,000-megawatt project was proposed by a subsidiary of Solar Millennium and will be located on federal lands near Blythe, Calif.
“The Blythe Solar Power Project is a major milestone in our nation’s renewable energy economy and shows that the United States intends to compete and lead in the technologies of the future,” said U.S. Interior Secretary Ken Salazar. The project fits with the Obama administration’s efforts to have more U.S. electricity supplies generated by renewable energy sources like wind and solar power and create thousands of clean energy jobs in the process. The project will consist of four concentrated solar-electric generation facilities that will be able to produce up 1,000 megawatts of power. That is equal to the generation capacity of a large natural gas or coal-fired power plant. Rows of curved mirrors will collect heat energy from the sum and refocus it on a tube at the focal point of the curved mirror. Fluid in the tubes is heated to 750 degrees Fahrenheit. The fluid is then piped through heat exchange to generate high pressure steam, which is fed to a turbine that generates electricity.